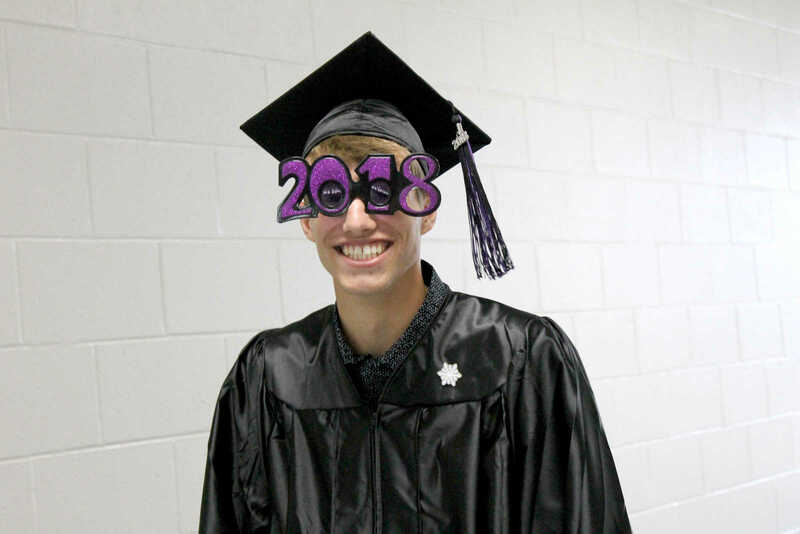 On Saturday, May 26, 2018, Clay City High School graduated 55 seniors. 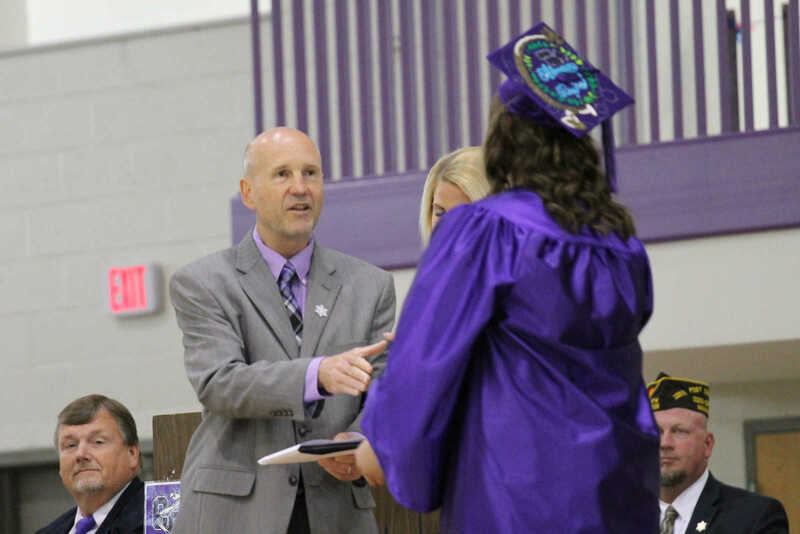 Superintendent of Clay Community Schools Jeffery Fritz hands out a diploma to a member of the Clay City Class of 2018. 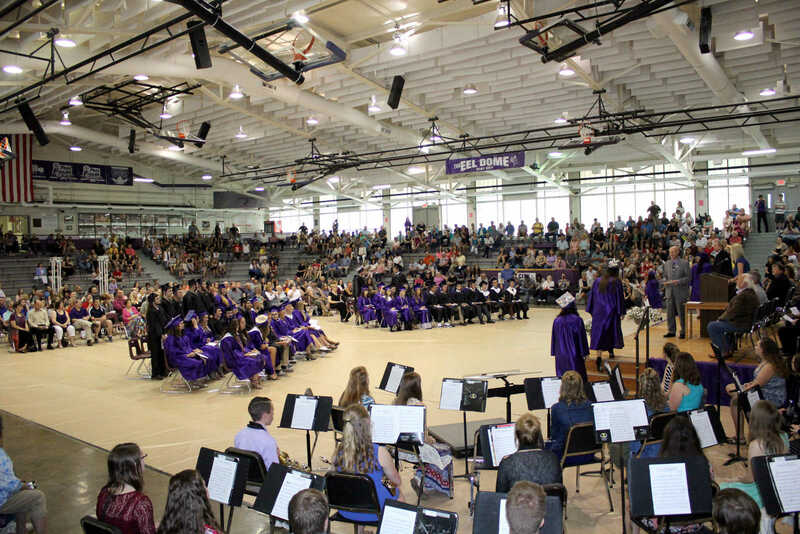 Clay City seniors take their spots prior to the graduation ceremony on Saturday afternoon. 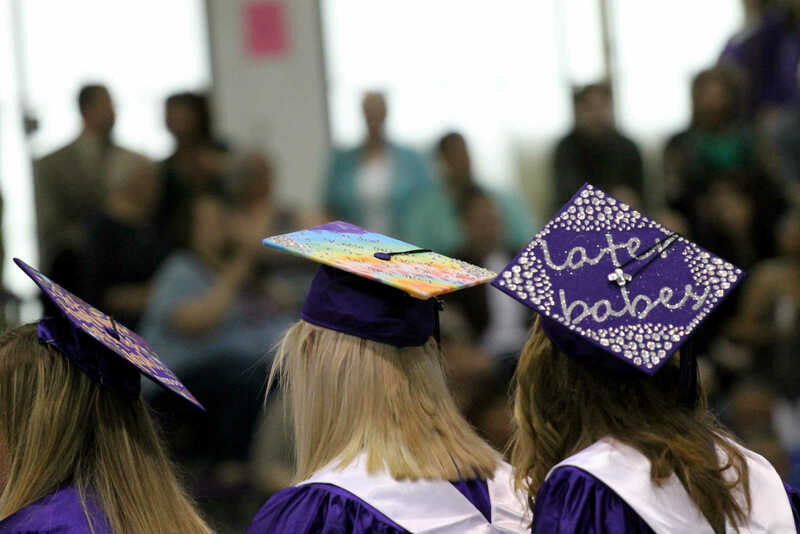 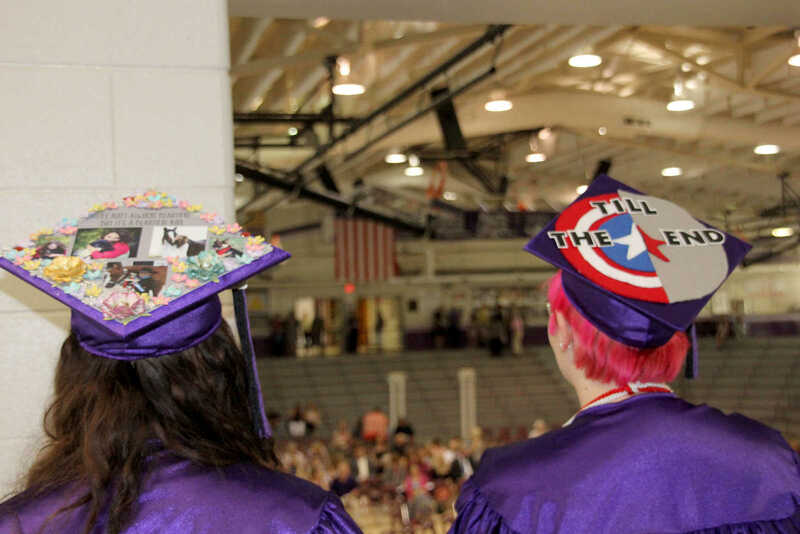 Clay City seniors toss their caps in the air as they officially become high school graduates at the end of Saturday's ceremony. 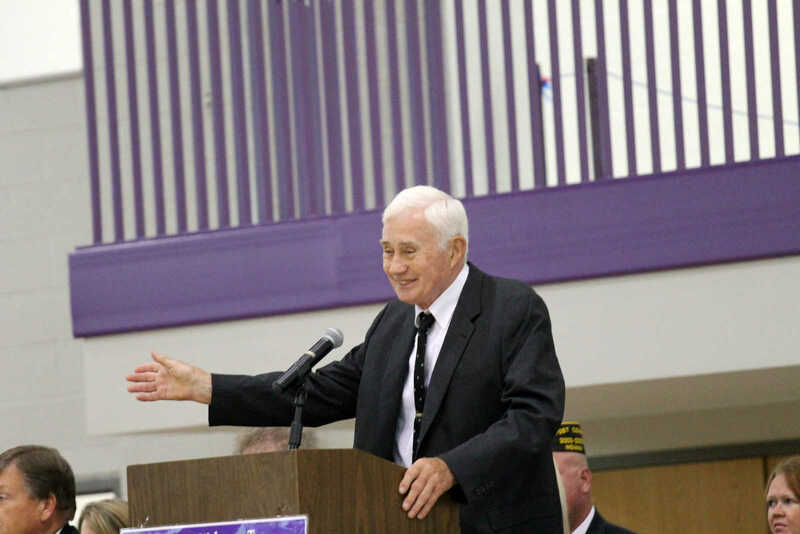 Bowling Green High School and Purdue University graduate David Brown was recognized with the Distinguished Alumni Award. 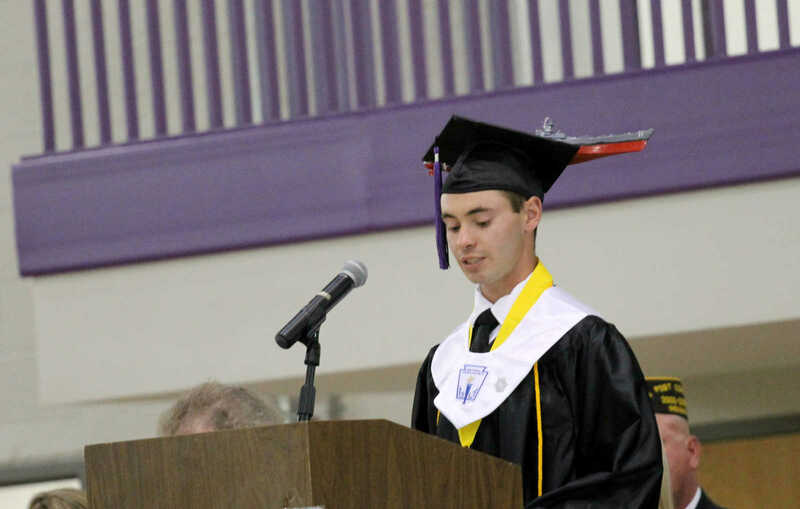 Clay City valedictorian Carter Myers gives his address during Saturday's graduation. 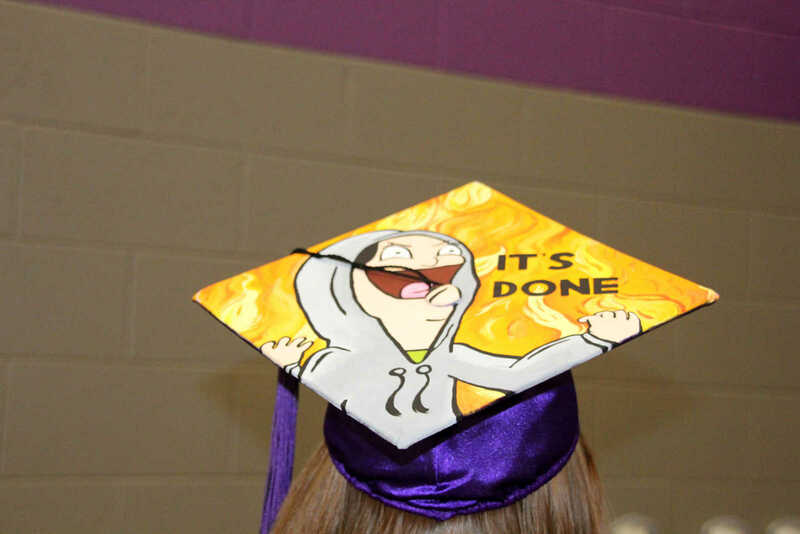 Salutatorian and V.F.W. 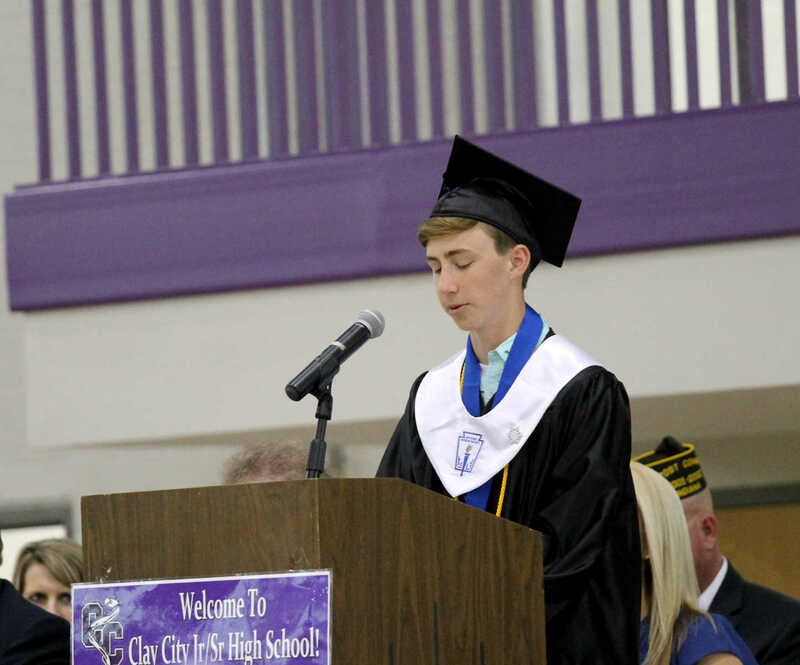 Citizenship Award winner Calvin Fry gives his address during Saturday's Clay City graduation. 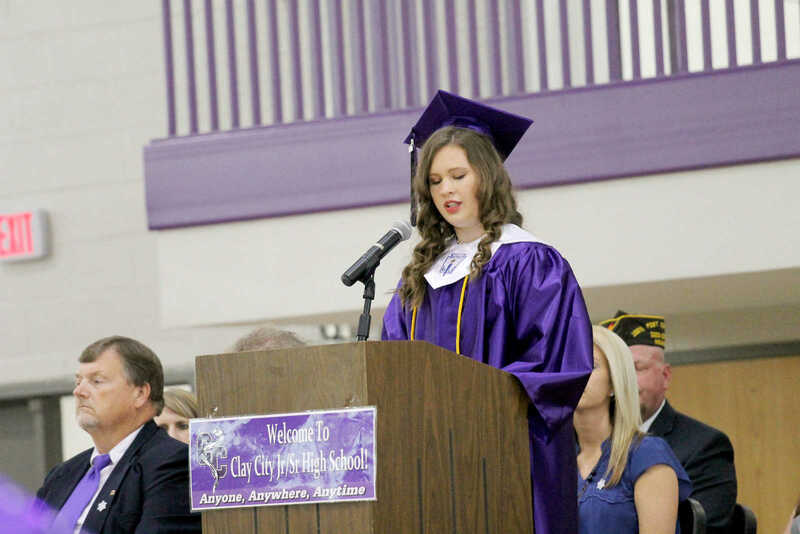 Student Council President and V.F.W Citizenship Award winner Madelyn Ames gives the welcoming speech during Clay City's graduation service. 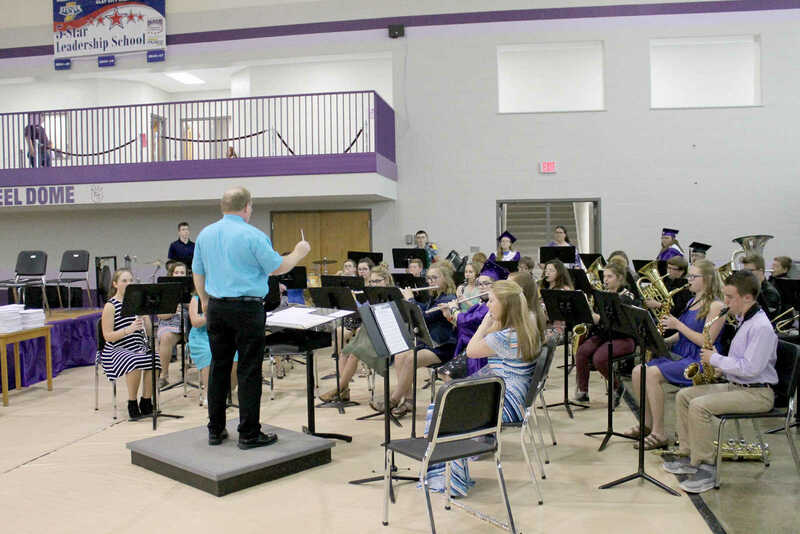 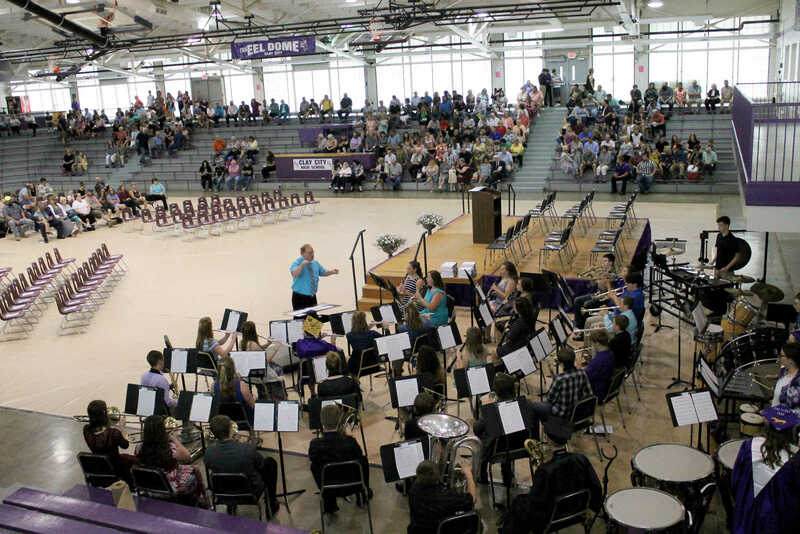 The Clay City band performs the Prelude Concert prior to the school's Saturday afternoon graduation under the direction of Mark Ziegler.